Breast milk is the best for baby. Mee Mee manual breast pump is carefully made to the highest safety standards. 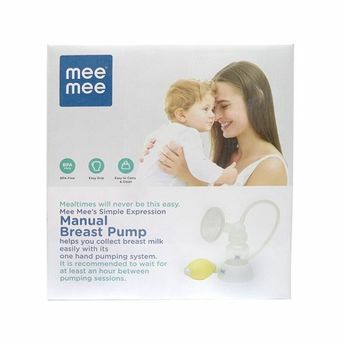 Designed to help mothers' express breast milk safely and quickly. It complies with the FDA standard.